Exelon Corp., owner of the Three Mile Island Nuclear Generating Station (TMI), announced on 6th June that it will shut down the facility by 30 Sept., 2019. Three Mile Island's nuclear reactor meltdown in 1979 left one of its two reactors mothballed. To date, the single-unit nuclear station has 675 employees and 1,500 contracted workers, bringing in $2 billion to the state's economy annually. Exelon, owner of TMI, says the high operating costs for the remaining reactor take a toll on the business's financial viability as competitiveness of renewable energies is catching up. The company has been suffering loss for five years. On the brink of shutting down the nuclear station, Exelon calls for the Pennsylvanian government to put nuclear energy into its Alternative Energy Portfolio Standard (AEPS), alongside hydro, solar and wind energy. The energy company's president and CEO Chris Crane asks the Pennsylvanian government to follow New York and Illinois's examples by "implementing a policy solution to preserve its nuclear energy facilities and the clean, reliable energy and good-paying jobs they provide". Last year, Illinois approved a $235 million-a-year lifeline for Exelon’s Quad Cities and Clinton reactors after the company announced they would close. If the Pennsylvanian government doesn't offer financial aid before the first quarter next year, the energy company will proceed with closing down the plant. 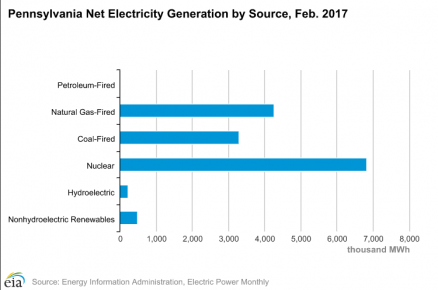 According to the U.S. Energy Information Administration, Pennsylvania has the second-highest nuclear generating capacity. The five nuclear stations generate more than one-third of its electricity, in which 93 percent of the Commonwealth’s emissions-free electricity is contributed by the TMI power plant. It has also saved 37 million tons of carbon emissions, which is equivalent to keeping 10 million cars off the road every year. The declining support for nuclear power plants, as evidenced by their closures around the world, is alarming. Non-renewable natural gas would easily replace the clean power source. It's naïve to think renewables would replace nuclear power when those plants shut down - renewables are already struggling to replace a significant amount of coal, per se. 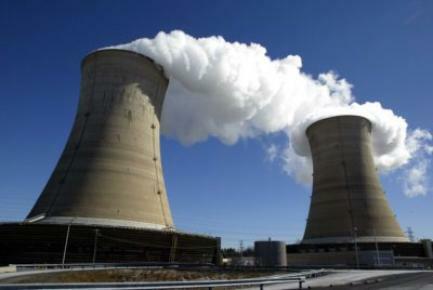 FirstEnergy Corp. says selling or closing its three nuclear plants in Ohio and Pennsylvania may be considered. Exelon's spokesperson Dave Marcheskie warns TMI's closure could be the first in many that follow.